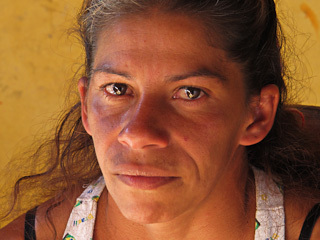 In Latin America, millions of women living in poverty and exclusion are seeking a better life. In DISRUPTION, we meet these women and follow a band of activist economists who believe that poverty and inequality can be eliminated. These creative economists work in marginal communities and in corporate headquarters building bridges between impoverished women, governments and even international bankers. As the number of women participating in these programs increases, a remarkable political energy bubbles forth, presenting a new paradigm for Latin America and crucial lessons for us in the United States and Europe. The film will be the director’s second to screen recently with Cine Las Americas. Yates' film GRANITO: HOW TO NAIL A DICTATOR, was presented as part of the Cinema of Conflict & Transformation Series presented by the Austin Community College's Peace and Conflict Studies Program last fall. Co-presented by Lights. Camera. Help. 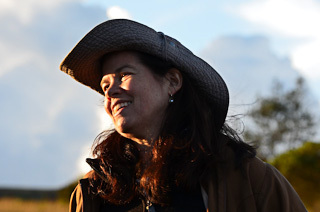 Pamela Yates is an award-winning documentary filmmaker, Guggenheim Fellow, and co-founder of Skylight Pictures. Through the company, she is dedicated to creating films and digital media tools that advance awareness of human rights and justice by implementing multi¬year outreach campaigns designed to engage and activate social change. Screenwriter: Pamela Yates, Paco de Onís, Peter Kinoy.